Beautiful master bedroom with sitting area. The entire room is light and bright and opens out to the lush landscaping, pool, fountain and patio. Expansive transitional master bedroom in Miami with beige walls and medium hardwood floors. 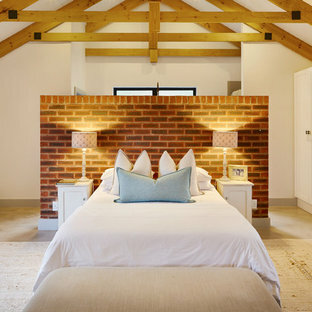 Design ideas for a contemporary bedroom in Oxfordshire with multi-coloured walls. 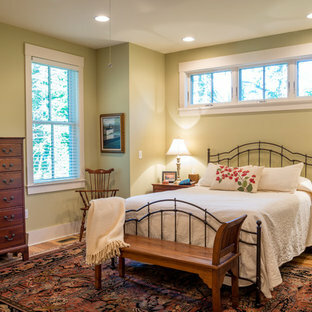 This is an example of a country bedroom in Other with green walls. Porcelain tile flooring by Ann Sacks Tile. LED lighting throughout. 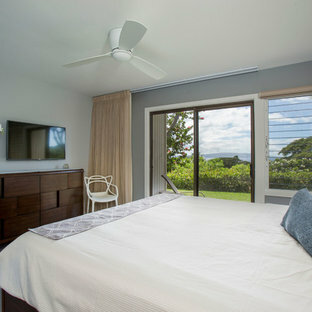 This is an example of a transitional master bedroom in Hawaii with grey walls and porcelain floors. Inspiration for a beach style bedroom in Other with white walls and concrete floors.